Monday. 5 o'clock. Time to unveil the latest cocktail on our delicious Schirmchendrink menu: the Clover Club! Brought to you by Hisham Zahran. With a focus on deep, melodic and ethereal beats, Hisham has gained recognition across the globe. 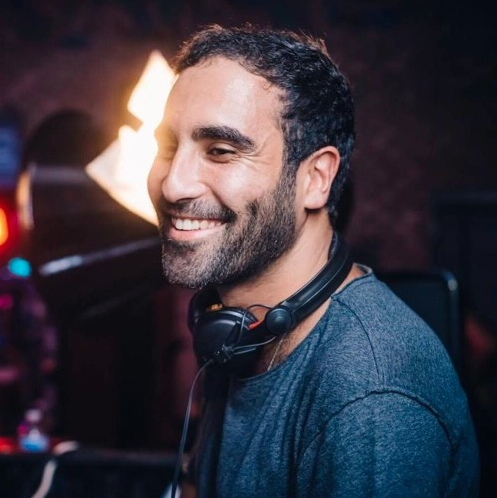 He has his monthly radio show on Proton Radio, The Next Level, and he holds a residency at Nacelle House Sessions in Cairo as well as Bespoke music in New York. Hisham is further doing A&R for Anjunadeep, bringing forth an exciting new direction for the label. And besides all that he found time to beautifully mix this amazing Clover Club. We absolutely love it. And so will you!